Genuine emerald cartilage piercing earring handmade from 18k yellow and white gold, and polished to a mirror shine. 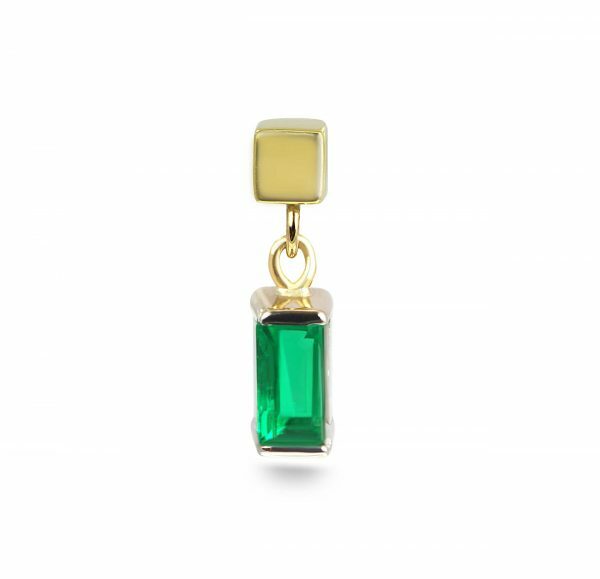 The сlassic 18k gold minimalist earring stud, with a baguette shaped emerald. 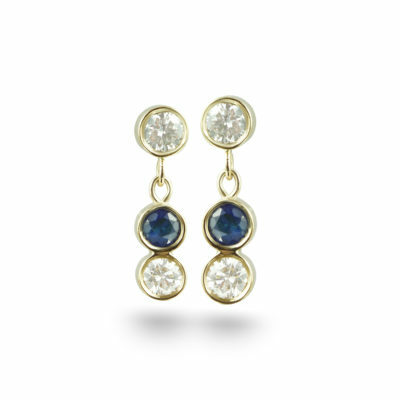 The design makes a simple and elegant addition to any ear curation. The baguette-cut emerald is beautifully presented by its white gold setting to enhance its sharp shape. Perfect for tragus, helix, ear lobe piercing. The baguette-cut one of the most popular gem cut choices. Minimalist yet trendy, it offers an unmatched delicacy and grace. 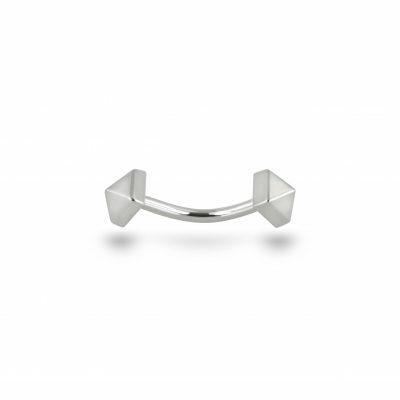 Handcrafted to perfection, this piercing stud is made at Lena Cohen’s Hatton Garden Workshop. Our screw backs are solid and have a good weight of 18k gold. 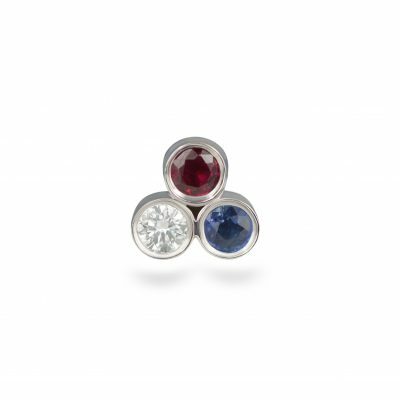 It is created this way in order to give the perfect balance between the front and the back of the piercing earrings. They are also very comfortable to assemble on the ear, as each pyramid screw back has a bevelled edge to guide the barbell into place. And they could be worn in reverse, as pyramid is one the most attractive shape for the earring, beautifully reflects the light on its sides. 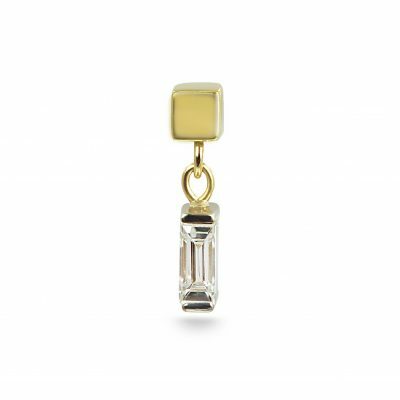 Earrings made for cartilage, with screw backs, are generally more comfortable. Luxury Ear Styling is all over the place, this fashion is here to stay!